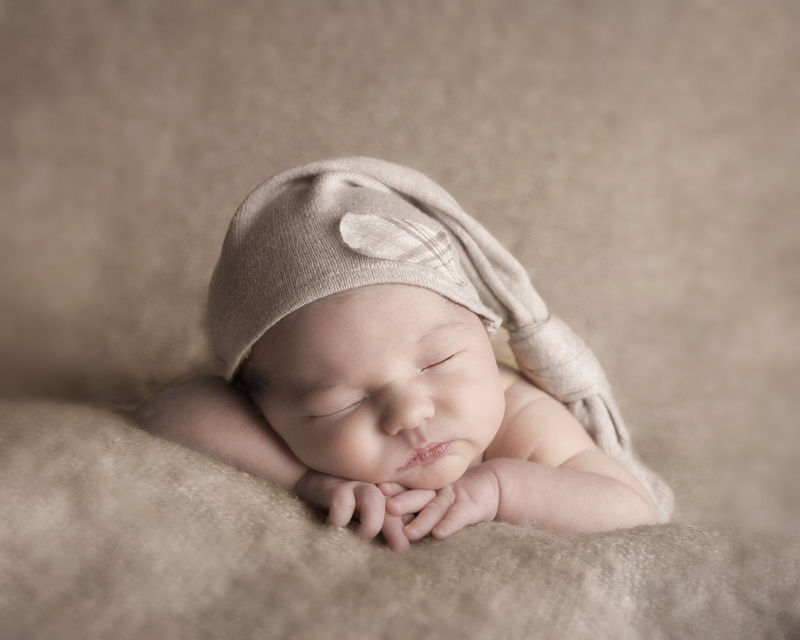 "When should I have my baby's Newborn Shoot?" It is best photograph babies when they are 5-10 days old, but 14 days old is still a great time too. If you are after the lovely sleepy photo's this is when we can achive them. At this age they are still all curled up and when fed will often go into a 'milk coma' then we can play! We can wrap them up and move thier arms into position without disturbing them too much. "Where will it take place?" In my home studio in Ruislip Manor, as it's in a private residence we wont be disturbed, my family know that when my blinds are pulled down, not to enter as we will be in mid flow or Mummy might be feeding baby. "How much is the session fee and what is included?" I charge a very small fee for the session £60, this includes the session from 2-4 hours, a light lunch and drinks, obviously any pre-consulation phone calls and a vewing a couple of weeks after. Your photos will be fully edited, skin will be re-touched and I will also create some art from our shoot too, you will be able to see and buy these at your viewing. You can use the £60 towards any wall art you may wish to purchase. "How should I prepare for the shoot?" It is best to feed your baby on arrival while I chat to you and show you some outfits and set up ideas I have, then your baby will hopefully be nice and relaxed after. Can Dads please wear a black or dark coloured t-shirt, there might be a shot we want to use Dads hands for and a dark coloured top is best for this. Bring plenty of nappies and extra feeds if bubba is not breast feeding, babies use a lot of energy up in thier shoot and will get more hungry than usual. Wear light clothing as I turn up the heating for your baby, as when they are undressed they get cold quickly, plus being nice and warm will keep them sleepy. I will provide drinks and a light lunch for you too, so you dont have to bring food or drinks with you. "What outfits should I bring?" I photograph babies in thier birthday suits! So, naked! You don't have to bring outfits, as I do have a few little cute outfits and accessories we can use. "What if my baby poops or pees though!" I expect it, I am often pooped or peed on, it's only natural for your baby to do that. It isn't a problem, we just mop up and carry on. "How many baby shoots do you photograph each day?" "Will my baby be safe?" Yes, absolutley. I have invested in professional training and will continue to do so throughout my career. I will often ask a parent to lend a supporting hand for some shots where baby may not usually be able to hold thier head (this is removed later when I am editing) I use lots of little pillows and blankets to help support your baby and so they feel comfortable too. I will sometimes have an assistant to hep with this too so that Mummy and Daddy can relax.